mashable The clock is ticking," United States Men's National Team (USMNT) coach Jurgen Klinsmann told reporters during a Monday afternoon conference call. Klinsmann had just done something that seemingly accelerated the hands of time toward their final destination — their only destination, as far as many soccer fans are concerned: The 2014 World Cup in Brazil. Minutes before that conference call began, Klinsmann released his 30-man roster for the USMNT's pre-World Cup training camp at Stanford University. Coming exactly one month before the World Cup's opening match on June 12, the preliminary roster announcement is a formality we all knew was coming — but one that also heats months of simmering World Cup excitement to a boil, thanks simply to its symbolic importance. Here we'll answer five questions — ranging from the basic to the more advanced — about the USMNT's preliminary World Cup roster. You'll be up to speed and ready to hold your own in the World Cup watercooler conversation in no time at all. What is this roster and what happens next? As noted above, the roster Klinsmann named on Monday afternoon includes 30 men. The rub? Only 23 players get to travel to Brazil for the actual World Cup. 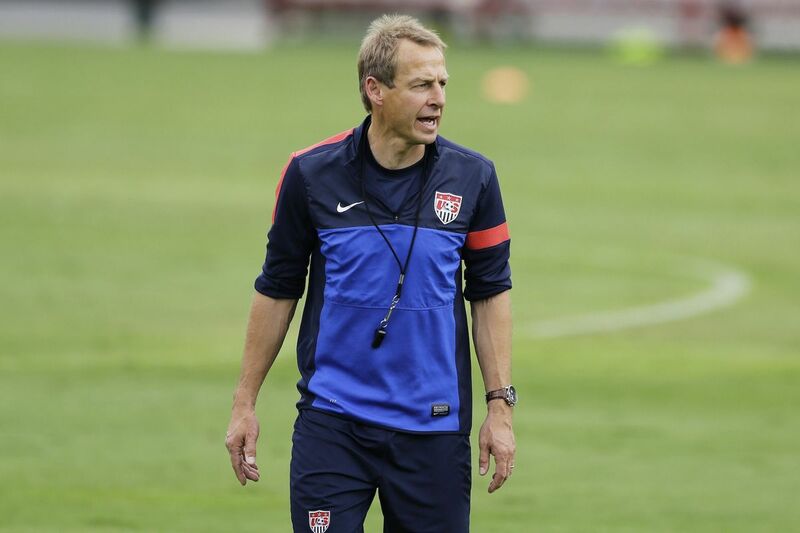 Klinsmann has until June 2 to submit his final World Cup roster to FIFA, world soccer's governing body. So a lot of evaluation will take place between March 14, the first day of training camp, and June 2. Some of that evaluation will happen during the first of three tuneup matches the USMNT will play on its home soil before leaving to Brazil. The team plays Azerbaijan on May 27 in San Francisco, Turkey on June 1 in New York City and Nigeria on June 7 in Jacksonville, Florida. None of those matches count for anything. They're simply a chance for Klinsmann and his staff to evaluate bubble players and future teammates to build chemistry before the World Cup. But one disclaimer worth mentioning: Just because a player doesn't make the cut from the 30-man roster to its final iteration doesn't mean they're out of the U.S. Soccer picture. National soccer programs run intermittently year-round all the time — not just during World Cup years — so a player who's cut before the 2014 World Cup could easily end up being a USMNT star in future years.